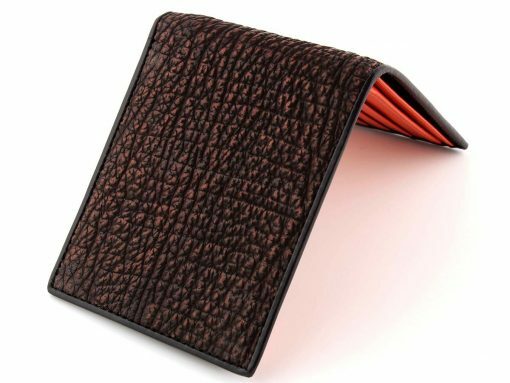 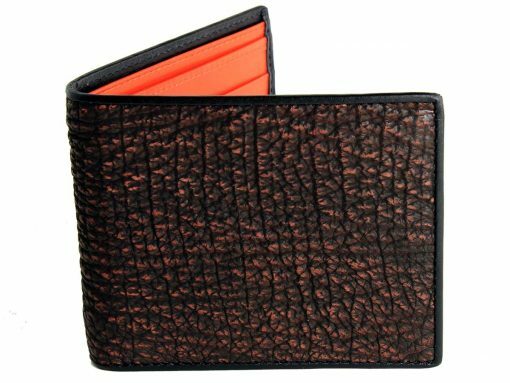 A shark skin mens wallet in black and burnt orange. 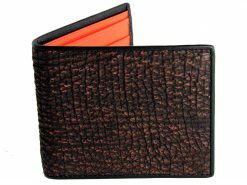 Taking advantage of a complex tanning and coloring method has given us a unique, brushed 2 tone effect in a black and burnt orange. Add a matching calfskin interior in blood orange and this creation pops. 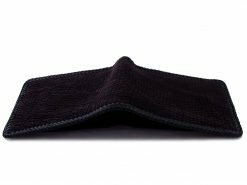 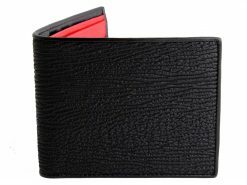 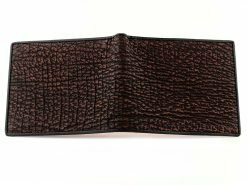 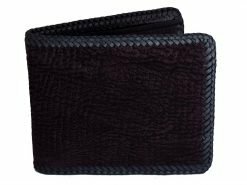 A shark skin wallet that suits those with a flair for bold colors, this is a unique mens wallet perfect as a gift or for a loved one or yourself. 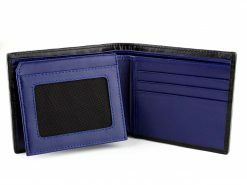 These are a complete one off, exclusive to Real Mens Wallets and wont last long. 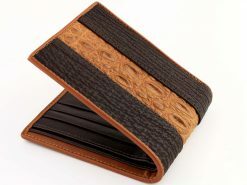 Great tough looking wallet! 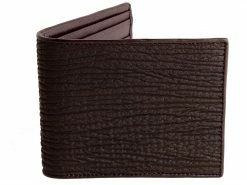 My girlfriend got this for me for Christmas and I love it. 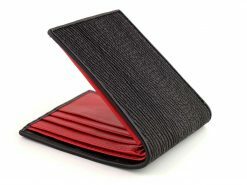 It looks really nice and it feels durable, perfect for someone who plans on having it for a long time. 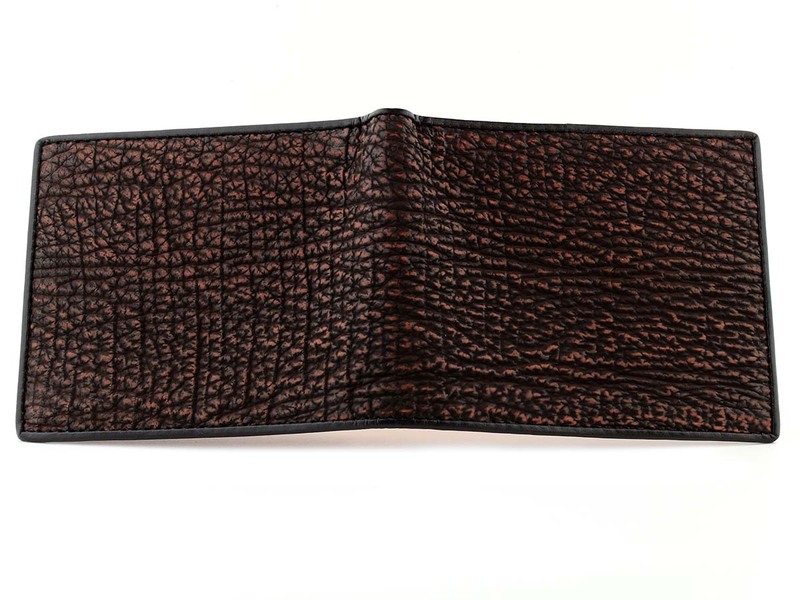 It’s lightweight and we’ll crafted, if you’re looking for a new wallet, look no further.